The NHS long term plan has been created to ensure that healthcare in the UK is fit for service for the future, as well as for now. The long term plan was published at the end of 2018, meaning there’s a lot of information still to digest. To help you with this, Dr Ishani Patel, Clinical Co-Founder at Lantum, has gone through the plan and shared her thoughts on each chapter. 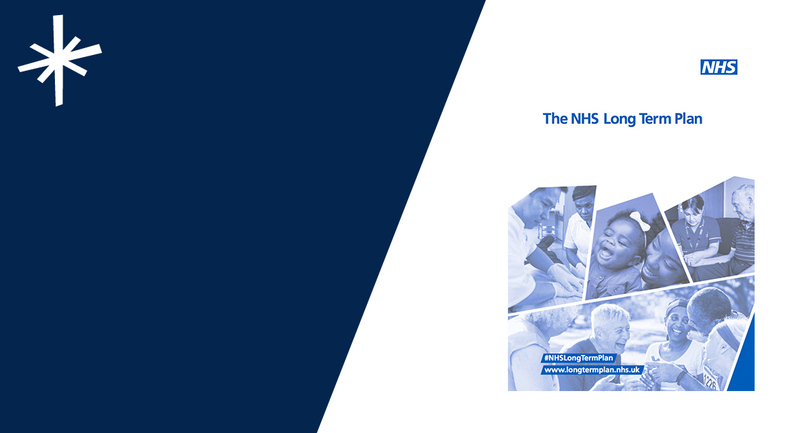 The NHS long term plan is a significant step forward for healthcare in the UK. The plan promises to transform the NHS into a 21st Century service, building on the initiatives from the Five Year Forward View (5YFV) and General Practice Forward View (GPFV). The ambitious, welcomed and applauded pledges in the plan will present challenges, however, when delivered, they will help the NHS make significant steps to providing more joined-up, preventative and personalised care for patients. Below, I’ve shared my takeaways and additional insights on this “call to action”, as a face-to-face and online consulting portfolio GP interested in primary care at scale, early diagnosis of cancer and workforce engagement. NHS England remains committed to recruiting an extra 5,000 full-time equivalent GPs and will develop incentives to boost numbers of doctors. Medical school places are already increasing from 6,000 to 7,500 a year, and options such as more part-time study places, accelerated four-year degree programmes and more generalist post-graduate training are being explored. These pledges are welcomed in light of recent figures published by NHS Digital. In September 2018, 29.7% of GPs in salaried or partnership roles were working full-time or more than full-time. The proportion of GPs working full-time or more has dropped sharply over the past three years, falling from 34.3% in September 2015. The overall full-time equivalent appeared to have stabilised after a slight rise in September 2018. Kent and Medway Medical School will be launched in 2020, aspiring to achieve excellence in person-centred medical care. Newly qualified doctors and nurses entering general practice will be offered a 'two-year fellowship' under plans proposed in the GP partnership review, to provide a 'secure contract of employment alongside a portfolio role' designed to support both needs of the individual and health economy. Increasing international recruitment to tackle shortages are dependent on immigration policy. We await the 'workforce implementation plan' due to be published later this year by Health Education England (HEE), once the budget for training, education and CPD has been set by the government. changes to reduce personal financial risk for partners by allowing limited liability companies or mutual-style organisations to hold contracts. The government has committed to a new state-backed GP indemnity scheme from April 2019, as part of a five-year funding and reform package. The purpose of the indemnity reform is to address concerns about rising NHS indemnity costs in a cost neutral way, as well as extending the scope of coverage to support the expanded multidisciplinary teams. NHS England will support the Helpforce programme with at least £2.3 million to scale successful volunteering programmes across the country to double the number of NHS volunteers over the next three years. Over the next five years all patients will have access to digital GP consultations. This could take the form of asynchronous or synchronous consultations, offering flexibility and convenience as well as swifter access for patients, carers, parents and clinicians. I hope to see online consulting skills enter the curriculum for all healthcare professionals, as this becomes embedded and mainstream. A minimum of £4.5bn increase in funding has been pledged for primary and community care by 2023/24. GP practices will be expected to sign up to 'network contracts' that tie them into practice networks covering 30-50,000 patients. These 'network contracts' will sit alongside practices' existing GMS, PMS or APMS contracts. Most local enhanced services commissioned by CCGs will be moved into network contracts, rather than deals with individual practices. A 'shared savings scheme' offers primary care networks part of funding that is saved by groups of practices working collaboratively to reduce avoidable A&E admissions, admissions, preventing delayed discharge, reducing avoidable outpatient visits or over-medication. The NHS plans to 'improve efficiency' in primary care, mental health and community health services, with a 'cash-releasing productivity growth' target of 1.1%. Quality improvement activity will be added to QoF as well as indicators to promote more personalised care. New evidence-based NHS prevention programmes will be funded to cut smoking and reduce obesity, by doubling enrolment in the successful Type 2 NHS Diabetes Prevention Programme, limiting alcohol-related A&E admissions and lowering air pollution. Over the next five years the NHS will ramp up support for people to manage their own health including asthma and respiratory conditions, maternity and parenting support, and online therapies for common mental health problems. Social prescribing will expand the diversity and access of support available to people will widen, diversify and become accessible across the country - over 1,000 trained social prescribing link workers will be in place by the end of 2020/21 rising further by 2023/24. Primary care networks will be required to further boost early diagnosis of patients in their area by 2023/24. From 2020, a 'new faster diagnosis standard' will be introduced, with most patients to 'receive a definitive diagnosis or ruling out of cancer within 28 days of referral from a GP or from screening'. The NHS has pledged to expand mobile CT scanning units to improve access to rapid screening. Sustainable rapid diagnostic centres will be rolled out across England, based on the success and evaluation from pilot initiatives, in particular where diagnostic uncertainty exists or where vague symptoms may be difficult to interpret. NHS111 are already booking patients directly into GP practices, an action that will be rolled out nationwide, as well as being able to book appointments at pharmacies, this year. NHS is planning a national scheme linking primary care networks to care homes, with named GP support where networks collaborate with emergency and out-of-hours services. Integrated care systems (ICSs) will be rolled out across England by April 2021, 'growing out of the current network of sustainability and transformation partnerships (STPs)'. The reform could lead to a dramatic cut in CCG numbers. There are 44 STPs, and the long-term plan says there will be typically 'a single CCG for each ICS area'. CCGs will become 'leaner, more strategic organisations'. ICSs will have 'full engagement with primary care', with a named clinical director within each primary care network as well as board-level representation from networks. To learn more about the NHS Long Term Plan and discuss how Lantum can support your organisation with these changes, get in touch below.